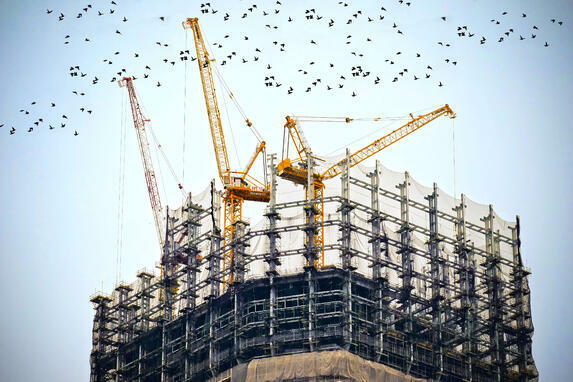 When your construction business seems paralyzed by increasing inconsistencies in cashflow, you may turn to a finance company in what seems to be a dire need to jumpstart the ledger. However, sometimes you may be mortgaging the future while rescuing the present from life support. Due to situations like these, you need to be confident in your finance company so that factoring can work for you and lift the burdens of an overbearing financial crisis. There are many factors you can look for in a dependable factoring company that will more than suit and benefit your immediate fiscal needs. Some factoring companies do not require you to submit a specified number of invoices per month. You may submit few, many, or none if you wish. Some factoring firms do not bind you to an onerous long-term contract at all. The service is yours to use when you need it most. Some factoring companies do not require you to finance the entirety of your invoices. You choose which to finance and which to keep. The freedom is yours. The credit process is a two-way street. Your credit is not the only factor. If you have had some bumps in the road, the credit of your clients will also be considered. Some factoring companies require no application fees to be paid. You’re new? Some factoring companies enjoy working with new businesses. They will look at the creditworthiness of your business partners and clients. The factoring companies want to increase your business opportunities, not decrease them. They will help you maintain good relationships with your clients. Find a company that specializes in the construction industry. Sure, they may also specialize in other heavy industries, like oil and gas, but be certain they have experience in construction. Your factoring company should understand that progress payments – and the glitches thereof – are a part of the industry. They should be able to work with them in a way that is comfortable and makes sense. Ask what their policies are with pay-when-paid contracts. Contractors often pay late or dispute charges. You don’t get paid until they do, so your finance company needs to understand this process and the pros and cons inherent in it. Make sure they know the small and large nuances within the industry and the various payment processes. Not all construction projects are the same. Not all payment structures will be either. Find a factoring firm that is adaptable to the industry. Does your factoring company deal well with retainage? Some construction contracts direct ten percent of the contract to be retained until the completion of the contract. Certain construction invoices may have the retainage deducted before they are factored. Ask how your financial partner deals with retainage. As with any business relationship, haste may make waste. While we understand your need for an efficient cashflow stream that is clear and pollution-free, you are likely to enter into a long-term relationship with your factoring company. Make sure they are the company you want and that they assist you in accomplishing your mission. Your business is your heart and soul, to some degree. It is your work, but it is also a hobby, an investment, and it is a leader in your most valuable asset, your time. Be sure that your finance (factoring) company understands both your business (construction) and your personal investment. You want a relationship that is healthy, happy, and pretty. Find a company that works for you in the way that you need. Find one that understands that your goals and mission is to make a mark in your community and to improve your business one project at a time.